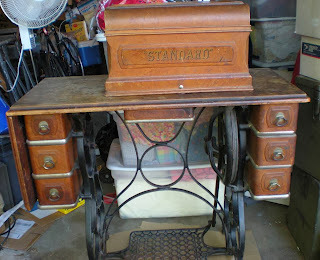 I was gifted this old coffin top Standard rotary treadle sewing machine by a fellow quilt guild member. She has a pretty early 6 digit serial number so I'm guessing she is from the 1890's - 1900ish. It was in an uncleaned and somewhat neglected, but fair condition. 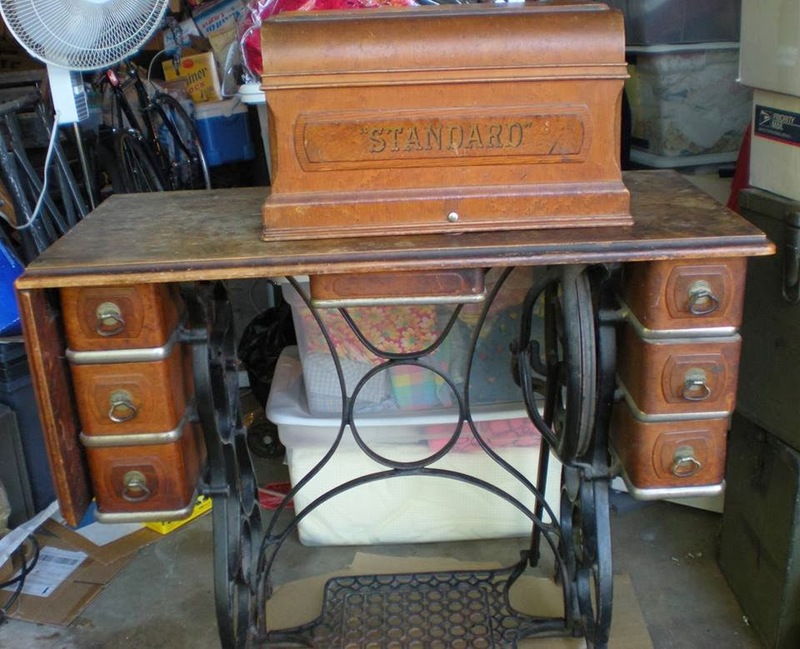 I knew nothing about vintage treadle sewing machines and was very excited to get my hands dirty and learn all about it. I started to clean her up right away. I first removed the machine from the cabinet. It was evident right away that the decal was long gone so all there was to do was to clean off the years and years of oil and crud that covered the whole thing. It took a lot of elbow grease and there is still more that can be done. What I'm most excited about is how much better the cabinet looks after a cleaning with Murphy's Oil soap, touch up with some Old English and an application of Howard's Restor-A-Finish. We figured out how to cut and fit the belt with a little help from YouTube. I was able to figure out how to thread it and within minutes I was sewing. She works like a dream. Before she came home to me. Here she is in action with her ruffler foot attachment. Your Standard machine is beautiful. I am going to look at one for myself this coming weekend. I can't wait!! Thanks Gina, you will love it! I'm so glad I found you! 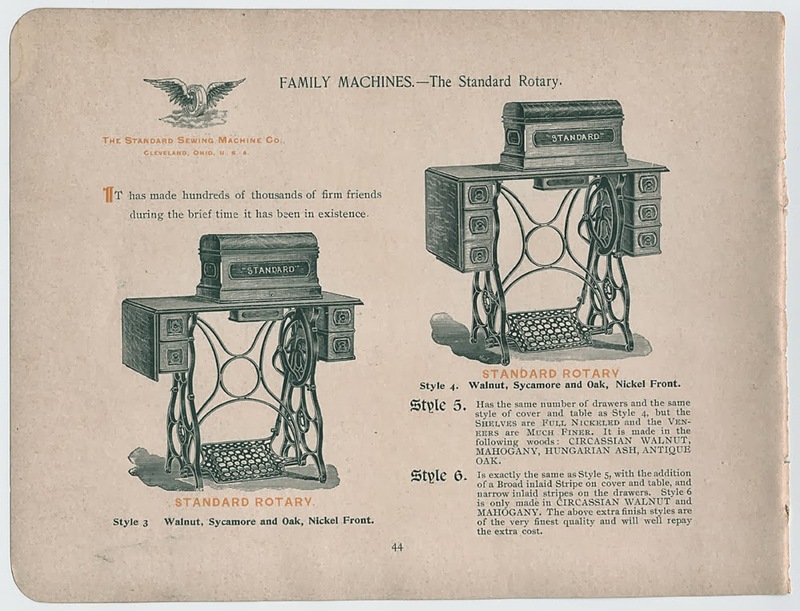 I just got this same model machine, and I'm looking for help with the upper tension assembly as well! Could you pretty please share photos of it with me too? Mine has felt discs and there's no take up spring! Something's very wrong here. I purchased my Standard in 2000 from the granddaughter of the original owner, had been in the family for a long time. I have only used it as decoration until now. The belt has deterioated and can't be used, can you tell me the length, shape and width of the belt. I am planning on reworking her. Any info would be helpful. Thanks in advance. Karen I would have to take it off and I hate to do that. All I did was buy a synthetic replacement belt and followed the directions I found online. You can cut the belt to the correct length for your machine. It is a pretty simple process and there are several You Tube videos that can walk you through it. I am no expert on these machines. I was super lucky, I threaded my machine and she performed beautiful. Make sure needle is in with the flat side facing to the right. Try joining the yahoo group Standard Sewing Company and asking for help there. There are many well educated people there that can better help you. Good Luck! Thanks for posting this. 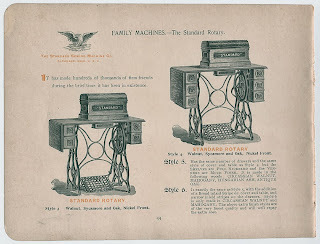 I have my great-great-Aunt Ida's Standard treadle machine. Still with her threads & buttons, etc in the drawers. It is same as yours, except double drawers on each side. I have never done the overhaul or tried to get it running, but yours is an inspiration to do so. Wonderful to hear Sue! Sounds like a real treasure. The overhaul was fun and very educational. If you look online you will find some you tube videos that are helpful even if they are about Singers or other brands of machines. This reminds me that I should probably clean and oil mine again for good measure. Thanks for posting.